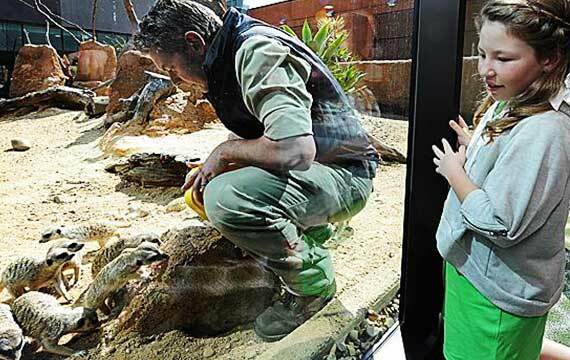 Green & Dale Associates, with Melbourne Zoo, were invited by the Royal Children’s Hospital, Melbourne, to create a Meerkats Exhibit in one of the courtyards of the new Hospital, making it the first hospital in the world to permanently exhibit live animals. 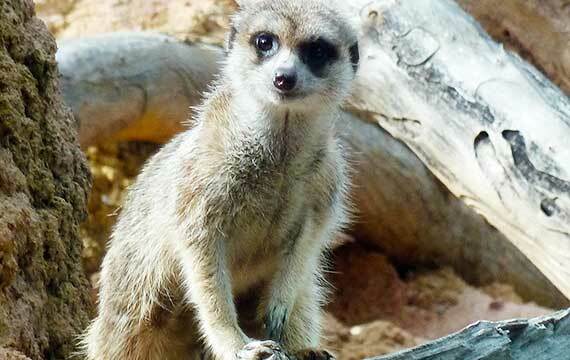 The open Meerkats enclosure is located in the Specialist Clinics waiting area on the Ground floor. The enclosure replicates the animals’ natural habitat, with an arid landscape, and large termite mounds full of tunnels, heating pads and branches for climbing. Melbourne Zoo staff cares for the animals and provide Meerkat education sessions every day for children at the hospital. The Meerkat mob entertains everyone and provides a great distraction and learning experience for children when they visit hospital, allowing them to interact at eye-level with the meerkat family group.